Well,so far only some winners have PM their valid email to me and they have got their gifts. Dear all,please PM me your valid email before Jan.16th!It's the final deadline! The winner list are as follows(click the picture to read more clearly ),CONGRATULATIONS! And the gifts will come to you soon! And KOPLAYER hopes everybody's wonderful wish will come true! 1.The winners published in the list should PM your valid email to me before Jan.11th so gifts could find you successfully.If you couldn't PM me in time,you couldn't get your gift which is so sorry. 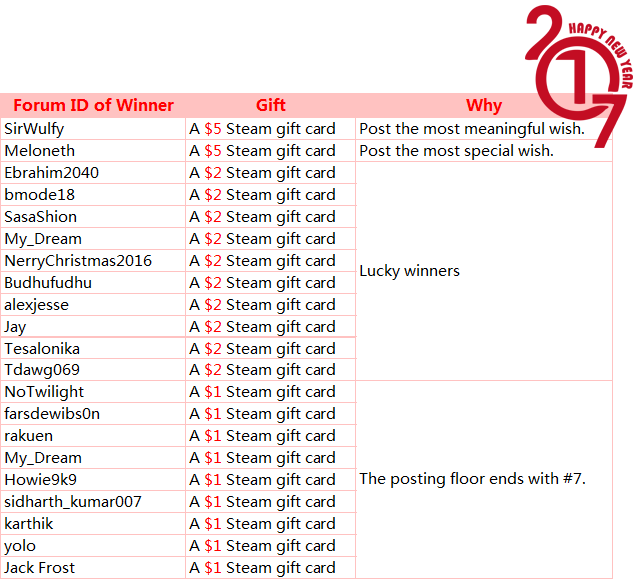 The winner list will be published on Jan.9th and the gifts will come to you before Jan.13th! So sorry for the delay because the winner list is so long in these new year events and thank you for your understanding! My dears, 2016 will end and the wonderful Christmas and new year is coming! During the special time, KOPLAYER wants to give you a special gift first. 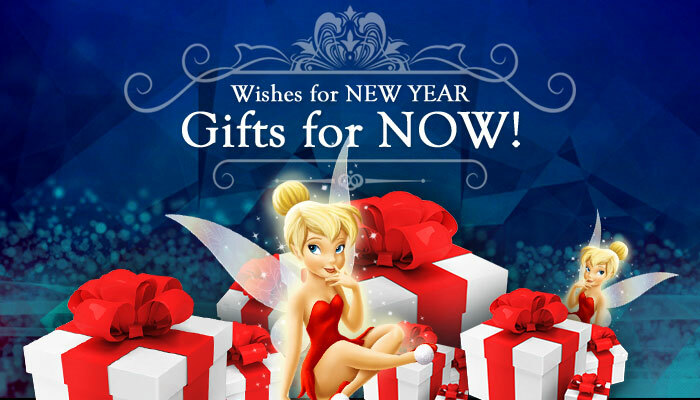 (In the future, there are more gifts waiting for you!) 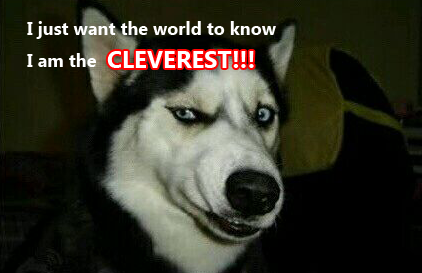 That is an easy but interesting event named WHAT I WISH! 1.Winner List will be published on Jan.6th,2017. 1.If your posting floor conforms with the fourth rule of getting gifts,you could PM your email to me NOW. 2.You should do as the rule tells you,or gifts won't come. The wish could be everything. So what's your wish in the new year? Okami Aisu Monday, December 12, 2016 2:33:24 PM(UTC) | I just wish everyone has a wonderful Christmas, and that everyone's able to spend it with those special to them. i wish to have a brand new set of desktop for gaming. I wish to have a nice winter holiday trip to Korea and Japan with my loved ones. I wish to finally end up happy in the coming year, and have all this relationship/marriage stuff fixed. I wish the world would be a better place that's utterly full of peace and love and without hate, wars and destruction. 1 user thanked Ebrahim2040 for this useful post. erbin Monday, December 12, 2016 7:32:23 AM(UTC) | Dear,bless you! 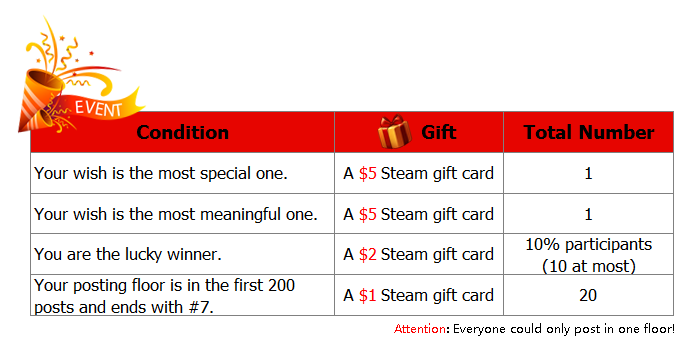 And another happy thing is that your posting floor conforms with the fourth rule of getting gifts,you could PM your email to me for Steam gift cards will be sent out through email. I wish next year I have a girlfriend who likes to play games ! No More War.. Live with Peacefully. 1 user thanked Mazbaguz for this useful post.